A Mercedes-Benz is more than just an automobile. 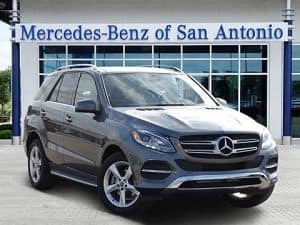 Your Mercedes-Benz is a statement piece, a pleasure to drive, and something that you can pass down to your children if you take care of it properly. All of the planning, engineering, patience, and time that goes into designing and building a Mercedes-Benz speaks of its quality and gives you an assurance of excellence. No other vehicle can serve as a replacement for a Mercedes-Benz because nothing else is constructed like a Mercedes-Benz. Of course, nothing lasts forever, especially if it isn’t cared for properly. How you repair and maintain your car will have a massive impact on its performance and longevity. You should always choose an authorized service center for your Mercedes-Benz. Manufacturer-certified technicians are required to meet rigid requirements in order to earn and maintain their credentials. This gives you confidence in their verified skills and technical aptitude. You’ll know that your Mercedes-Benz is in good hands and that the mechanics on site understand your vehicle inside and out. There’s virtually nothing you can throw at them that they haven’t seen before. Additionally, every authorized service center should have at least one master technician on site. Master technicians have an even more rigorous certifying process, so they’re familiar with older, newer, and even classic models. If you want your Mercedes-Benz to keep running well for ten or twenty years, you need to be sure that you always have it repaired and its maintenance performed by expert technicians. They have the experience and training required to take the best possible care of your car. It can sometimes be tempting to use after-market parts. Who doesn’t want to save a little money? After all, they look a lot like genuine manufacturer parts, and most people think there shouldn’t be much difference. Unfortunately, after-market parts are not a proper substitute for genuine manufacturer components. You may save some money upfront, but you may have performance issues, and after-market parts generally don’t hold up well over time. You’ll have to replace them sooner rather than later, and you run the risk of compatibility issues or other problems along the way. Authorized service centers rely on actual Mercedes-Benz parts. There’s no need to worry about how cut-rate items will behave when installed, because they’re simply not used. Exclusively using Mercedes-Benz components and trusting only highly-qualified technicians will make a massive difference over the life of your car. 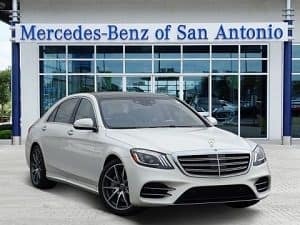 The professionals at your Mercedes-Benz dealership in San Antonio, TX, know that you want the best for your vehicle. With proper maintenance and experts handling every repair, you’ll get the utmost out of your automobile for many years to come. Along the way, you’ll even save money. Shoddy repairs and questionable parts aren’t going to deliver the handling, performance, and long-term reliability that are promised by Mercedes-Benz parts and manufacturer-certified mechanics. 0 comment(s) so far on Why Choose an Authorized Service Center for Your Mercedes-Benz?